This crucifix adorns the altar of St Swithun’s church for most seasons in the Church Calendar. 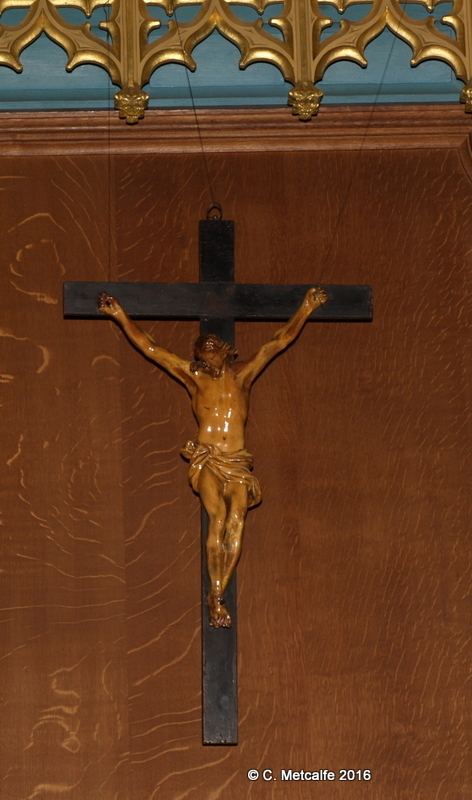 The crucifix belonged to the Rev’d Dr John Mason Neale, who was Warden of Sackville College from 1846-66. He is the central figure in the Oxford Movement window on the north wall of the church. 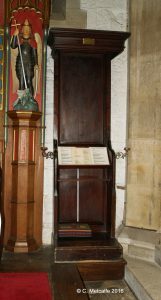 John Mason Neale’s prayer desk is in the church, in the Lady Chapel. 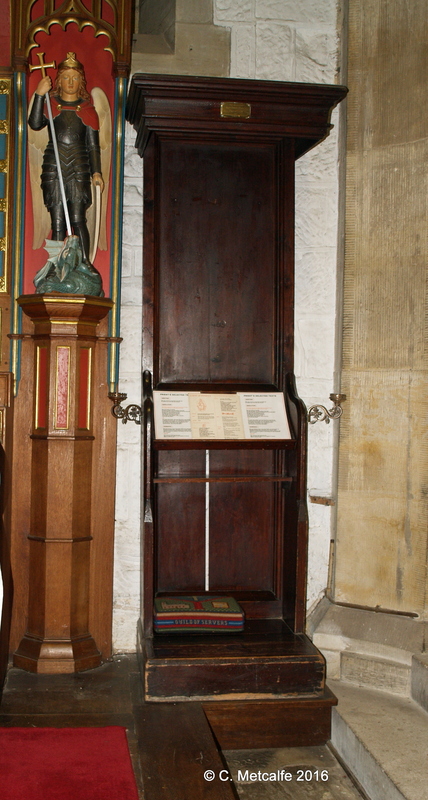 It is thought that the desk and crucifix were given to the church by one of Neale’s 4 daughters, Katherine Ermenild. She became first a nun, then eventually Mother Superior of the Sisters of the Society of St Margaret, founded by her father in 1854. The Sisters lived and worked in houses in Church Lane, and then in the Convent, when it was completed. The cross is a powerful symbol of the Christian faith, reminding us of the suffering and resurrection of Jesus. 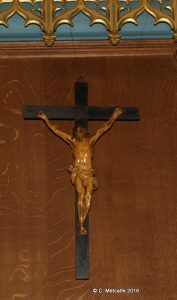 This particular crucifix came to St Swithun’s by an unusual route, from a nun who inherited it from her father, who served for 20 years as Warden of Sackville College, which stands just across the churchyard.